This is a step by step Recipe for preparing at home crispy and delicious Restaurant Style Veg. Gold Coins, this vegetarian snack is so named because of it appearance. It is a extremely popular snack or starter; especially for Kitty and Cocktail Parties. 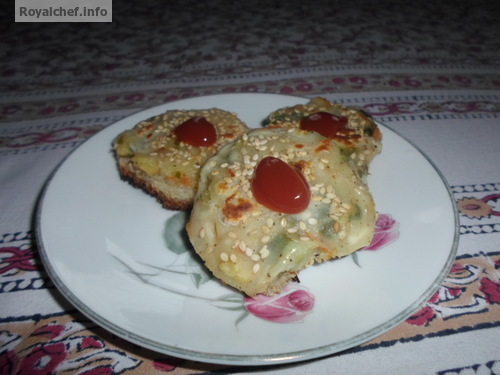 Given below is a step by step method of preparing this snack at home. 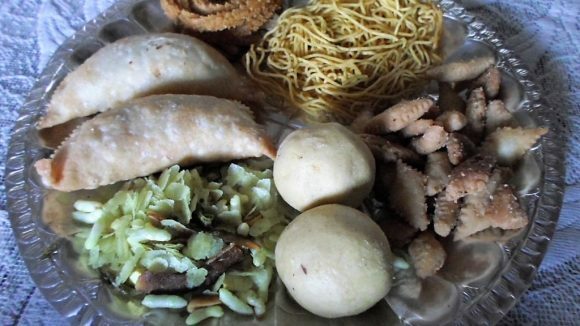 The Marathi language version of the same preparation is included below in this post for the benefit of readers from Maharashtra. Mix the boiled and mashed Potato, Carrot, Capsicum, Cauli flower, Beans, Onion, Ginger, Green Chilies Lemon Juice, Coriander, Salt and keep it aside. Mix the Milk, Wheat Flour, Refined Flour, Salt, Black Pepper Powder, shredded Cheese and mix it well. 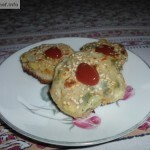 Cut the Bread Slices in a round shape and apply a tea spoon of the Milk mixture on top of the Bread slice and then arrange a table spoon of the Potato mixture over the Bread slice and then again apply a table spoon of the Milk mixture over the Potato mixture and sprinkle the Sesame seeds over these three layers. Heat the frying pan and apply the Oil over the pan and arrange the Bread slices and shallow fry the Bread Coins till it become crispy. Serve hot with the Chutney. कृती : बटाटे उकडून, सोलून, किसून घ्यावे, त्यामध्ये चिरलेले गाजर, फरसबी, फ्लॉवर, सिमला मिर्च, कांदा, आल, हिरवी मिरची, कोथंबीर, लिंबू रस, मीठ घालून मिक्स करा. दुधामध्ये आटा मैदा, मिरे पावडर, चीज, मीठ घालून गोळ बनवा. ब्रेड गोलाकार कापून त्यावर एक टी स्पून दुधाचा घोळ लावा व त्यावर एक टे स्पून बटाट्याचे मिश्रण लावा परत त्यावर एक टे स्पून दुधाचा घोळ लावा वरतून तीळ लावा. नॉन स्टिक तवा गरम करून त्यावर थोडे तेल घालून त्यावर ब्रेड गुलाबी रंगावर दोन्ही भाजून घ्या. गरम गरम चटणीबरोबर सर्व्ह करा.